Vega (Alpha Lyrae) is the brightest star in the Lira constellation, the brightest fifth of the night sky, and the brightest second Boreal Emisphere. Vega is a rather close star, placed only 25 light years away from the earth. 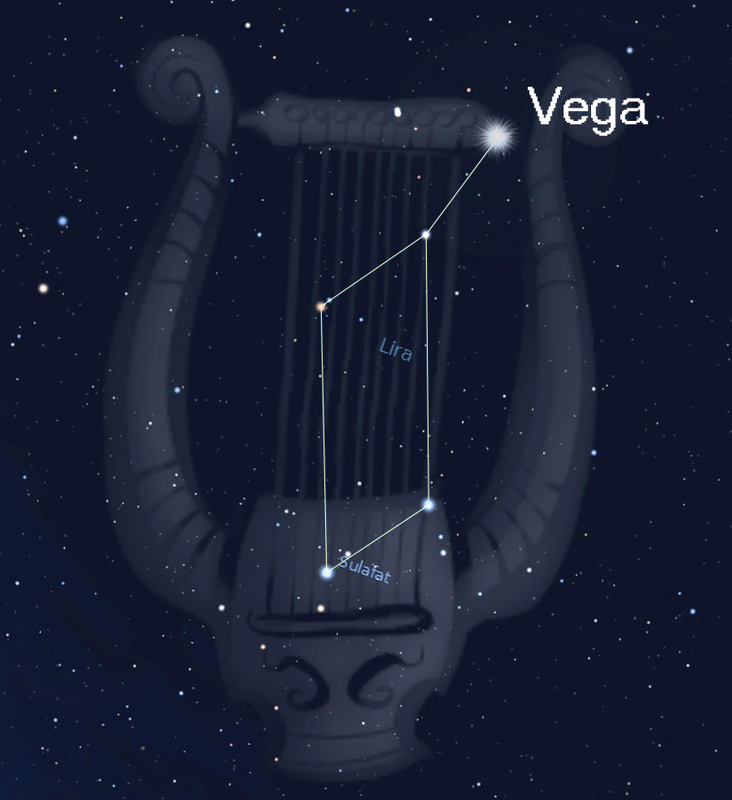 Vega, defined by astronomers as "the most important star in the sky after the Sun", is of great importance in astronomy, since it was used to calibrate the observational instruments and as a reference for the measurement of some parameters common to all stars ; moreover, about 12.000 years ago, due to the precession of the Earth's axis, it was the North Star, and it will be again in another 13.700 years. The name derives from the second part of the Arabic name of the star "an-nasr al-waqi" which means "vulture plana".